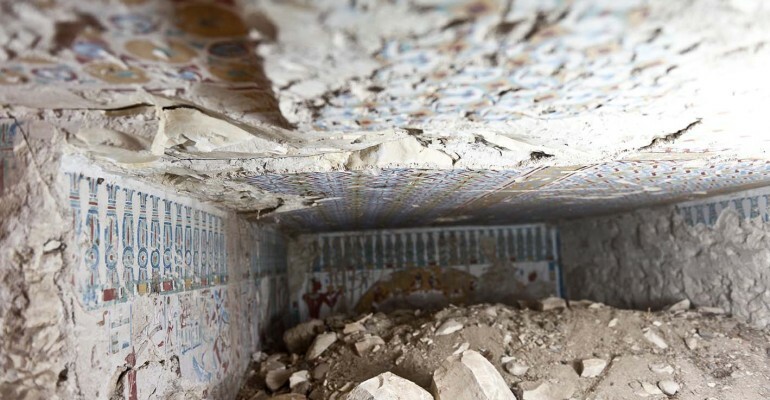 Two new tombs were discovered in the past two weeks in the site of Sheikh Abd El Qurna, in Luxor, by the American Research Center in Egypt (ARCE), with the support of USAID and the Egyptian Ministry of Antiquities. 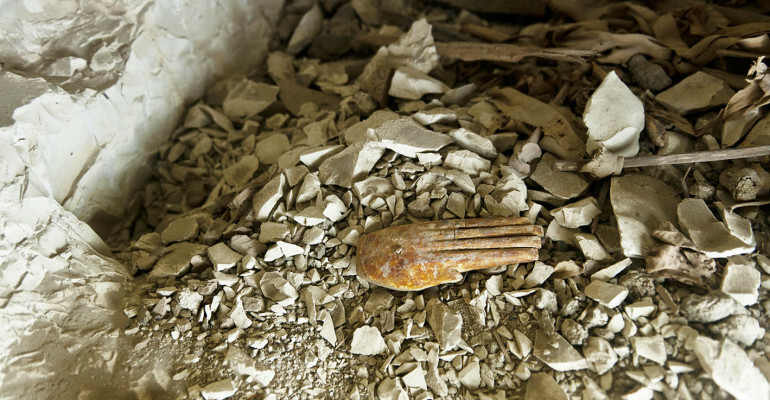 Both tombs date back to the prosperous 18th Dinasty of the New Kingdom and were discovered while mapping the adjacent courtyard of Theban Tomb 110 (TT110). 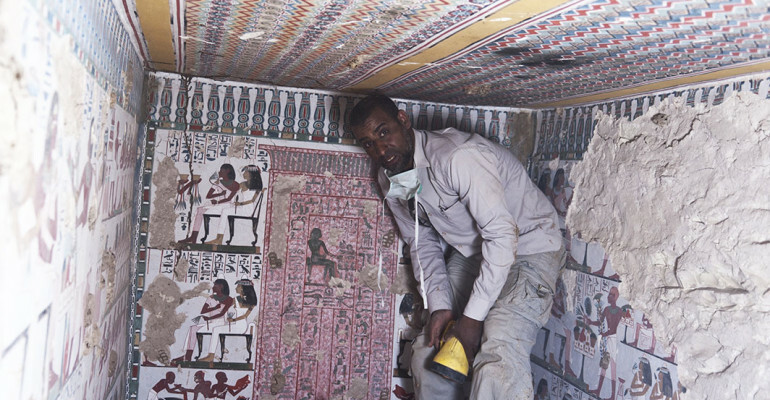 The first tomb, discovered last week, belongs to Amenhotep, who is also called Rebiu, the door-keeper of god Amun. 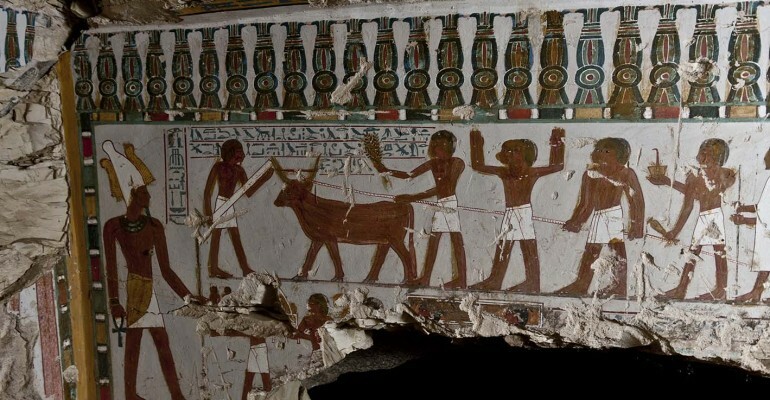 As the Ministry of Antiquities reported, the tomb is T shaped and consists of a transverse hall 5.10 metres long and 1.50 metres wide that leads to another chamber that is 2.50 metres long and 2.10 metres wide. There is a small unfinished niche at the eastern end and there is also an entrance to the south that leads to a small side room which is 2x2 metres. At the centre of this room there is a shaft that may lead to the burial chamber. 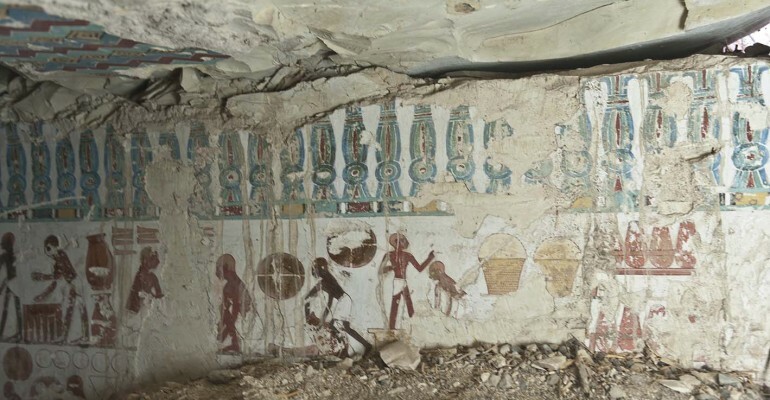 Minister El Damaty added that the tomb contains many stunning scenes with bright colours painted on plaster. 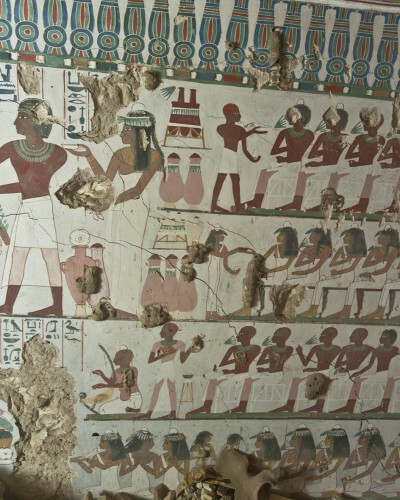 Many of the scenes represent the tomb owner and his wife in front of an offering table. 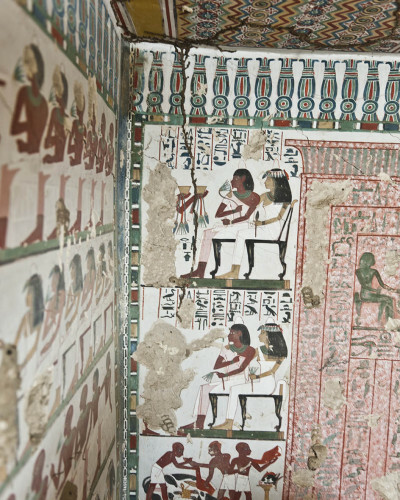 Other scenes show the tomb owner making an offering to a goddess nursing a royal child, as well as scenes of daily life and the owner's funerary rites. 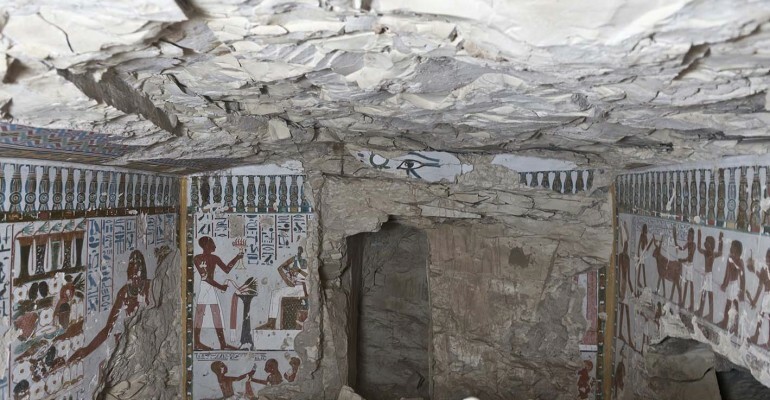 General Director of Upper Egypt, Sultan Eid commented that the tomb was deliberately damaged in ancient time; the name and titles of the tomb owner, some hieroglyphic texts and scenes in addition to the names of the god Amun were deliberately erased. 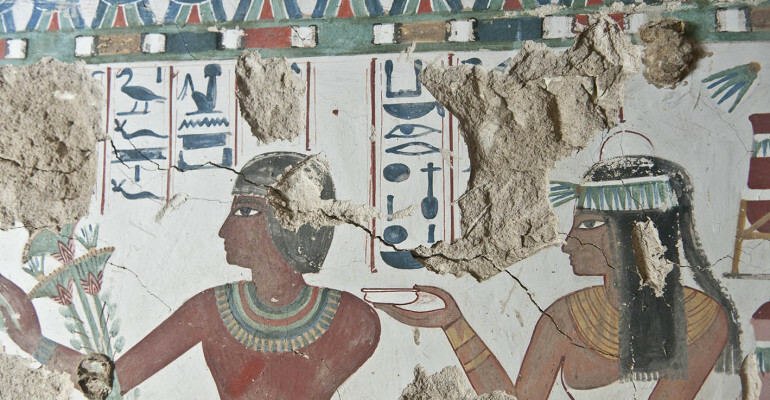 The second tomb, discovered this week, is also T shaped and belongs to Sa-Mut. 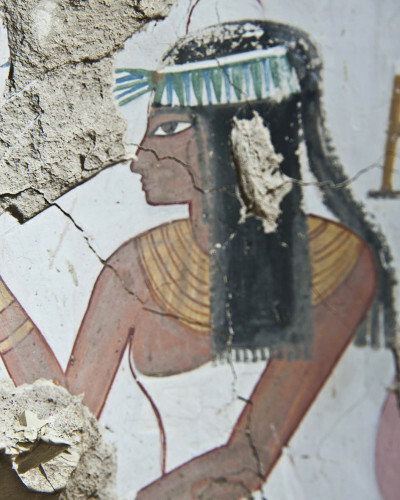 It contains a number of beautiful scenes painted on plaster with extremely bright colours. There are scenes representing everyday life activities, celebration scenes and other scenes representing the tomb owner and his wife Ta Khaeet. The tomb consists of a transverse hall and unfinished side chambers with shafts. It was robbed in antiquity and some of the texts and scenery were deliberately damaged. 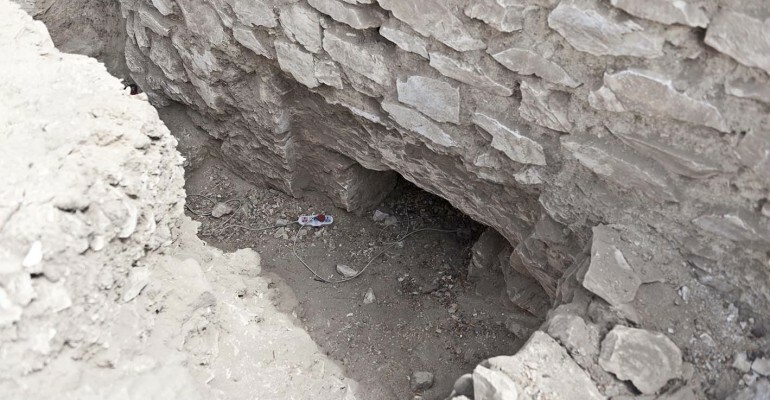 This second tomb lies to the east of TT110 and shares the same courtyard; the door of this newly discovered tomb opens to the north, and to the south of the door of the tomb of Amenhotep (Rebiu), discovered last week.